“I am glad about this discovery and I would like to congratulate scientists on it. It probably again raises the question of whether matter has always been the way it is now or initially developed according to a special scenario and is not eternal and unchanging, as some people believed several decades ago,” the head of the Synodal Department for Church and Society Relations archpriest Vsevolod Chaplin, told Interfax-Religion on Wednesday. According to earlier reports, scientists from the Cern research center in Switzerland announced the discovery of a new sub-atomic particle on Wednesday. 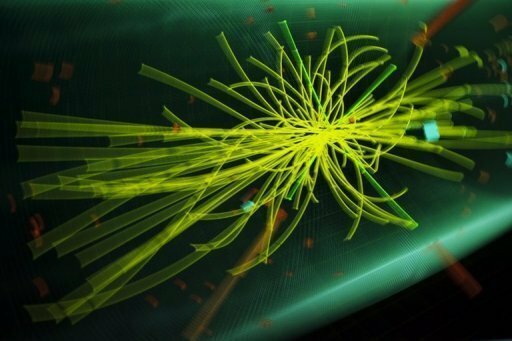 This particle could be the “Higgs boson” or “God particle,” which, according to the standard physics model, created the mass of the Universe. The proof of the existence of the Higgs particle will fit in the theory of the Universe accepted by most scientists. When the Universe began cooling down after the Big Bang, a hypothetical force known as the Higgs field was formed. This field explains the appearance of the mass of the particles that formed atoms. “In my view, humanity is only just beginning to know the world, both spiritual and physical. We really do not even know what is located twenty kilometers down in the ground, although we can see far-away stars,” he said. This means that there is still a great deal of room for research and thought and for knowledge and understanding of their limitations, he said.